“The families who have been sued by the Jenks and Tulsa Union school districts for using the Lindsey Nicole Henry Scholarship program have even more reason to be thankful this Thanksgiving weekend. The decision by the Oklahoma Supreme Court validates what I and many other people have been saying since the lawsuit was filed – that the school districts lack standing and that their vindictive actions against these parents were without merit. I am grateful to the attorneys who have stood with these parents for their hard work and effective legal defense of the scholarship program. Oklahoma Capitol - It is well established case law that a legislative act is presumed to be constitutional and will be upheld unless it is clearly, palpably and plainly inconsistent with the Constitution (1). The Oklahoma Supreme Court has consistently held that statutes should be construed whenever possible so as to uphold their constitutionality(2). There is no indication that the provisions of HB 3393 are plainly inconsistent with the Constitution. Other scholarship programs that were “neutral” or “of direct benefit to students” have been upheld by the Supreme Court and other courts. The unconstitutionality of a statute may not be urged by resort to hypothetical applications (3). The rules on construing legislative language have also been clearly set by the courts. Construction which would render the legislation absurd must be avoided; rational constructions are favored if language fairly permits (4). (1) Matter of Daniel Deborah and Leslie H., Okl, 591 P 2d 1175 (1979); In re Napier, Okl. , 532 P 2d 423 (1975). (2) City of Norman v. Liddell, Okl., 596 P 2d 879 (1979); Newman v. Tax Commission, Okl., 596 P 2d 530 (1979); Post Oak Oil Co. v. Okla. Tax Commission, Okl., 575 P 2d 964 (1978); Ruble v. Redden, Okl., 517 P 2d 1124 (1973). (3) In re Napier, Okl., 532 P 2d 423 (1975). (4) In re Vrooman's Estate, 206 Okl. 8 , 240 P 2d 754 (1954); John C. Winston Co. v. Vaughan, 11 F. Supp. 954 (W.D.Okl. 1935) affmd. Vaughan v. John C. Winston Co., 83 F.2d 370 (10th Cir. 1936); City of Enid v. Champlin Refining Co., 112 Okl. 168, 240 P. 604 (1925). "From the beginning, we believed it was improper for these school districts to sue the parents of special needs children simply for following the law. We are pleased Oklahoma’s Supreme Court agreed, and ruled that these school districts lacked standing to make their claims against the children’s families. The Lindsey Nicole Henry Scholarship Act is the law and districts must follow the law." “For the past few months, my staff and I have worked with other lawmakers, Oklahoma stakeholders and health care experts across the country to determine the best course of action for Oklahoma in regards to both the creation of a health insurance exchange and the expansion of Medicaid under the Affordable Care Act. Our priority has been to ascertain what can be done to increase quality and access to health care, contain costs, and do so without placing an undue burden on taxpayers or the state. As I have stated many times before, it is my firm belief that PPACA fails to further these goals, and will in fact decrease the quality of health care across the United States while contributing to the nation’s growing deficit crisis. “Despite my ongoing opposition to the federal health care law, the state of Oklahoma is legally obligated to either build an exchange that is PPACA compliant and approved by the Obama Administration, or to default to an exchange run by the federal government. 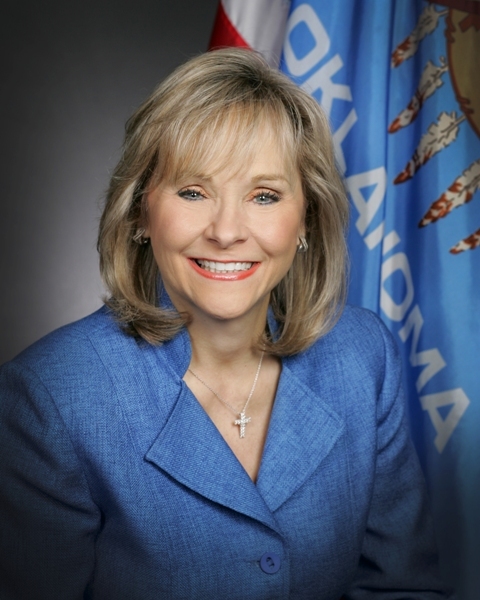 This choice has been forced on the people of Oklahoma by the Obama Administration in spite of the fact that voters have overwhelmingly expressed their opposition to the federal health care law through their support of State Question 756, a constitutional amendment prohibiting the implementation of key components of PPACA. “After careful consideration, I have today informed U.S. Secretary of Health Kathleen Sebelius that Oklahoma will not pursue the creation of its own health insurance exchange. Any exchange that is PPACA compliant will necessarily be ‘state-run’ in name only and would require Oklahoma resources, staff and tax dollars to implement. It does not benefit Oklahoma taxpayers to actively support and fund a new government program that will ultimately be under the control of the federal government, that is opposed by a clear majority of Oklahomans, and that will further the implementation of a law that threatens to erode both the quality of American health care and the fiscal stability of the nation. “Furthermore, I have also decided that Oklahoma will not be participating in the Obama Administration’s proposed expansion of Medicaid. Such an expansion would be unaffordable, costing the state of Oklahoma up to $475 million between now and 2020, with escalating annual expenses in subsequent years. It would also further Oklahoma’s reliance on federal money that may or may not be available in the future given the dire fiscal problems facing the federal government. On a state level, massive new costs associated with Medicaid expansion would require cuts to important government priorities such as education and public safety. Furthermore, the proposed Medicaid expansion offers no meaningful reform to a massive entitlement program already contributing to the out-of-control spending of the federal government. “Moving forward, the state of Oklahoma will pursue two actions simultaneously. 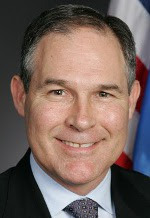 The first will be to continue our support for Oklahoma Attorney General Scott Pruitt’s ongoing legal challenge of PPACA. General Pruitt’s lawsuit raises different Constitutional questions than previous legal challenges, and both he and I remain optimistic that Oklahoma’s challenge can succeed. Oklahoma House Speaker-elect T.W. Shannon released the following statement today in response to the announcement by Gov. Mary Fallin above. “I applaud Gov. Fallin for her courage in taking a stand for the people of Oklahoma. Oklahomans have long opposed Obamacare because they recognize how intrusive and unworkable the law is going to be. Our Medicaid program is already unsustainable and needs to be reformed at the state level with solutions that reflect our unique challenges. “Regarding the health insurance exchanges, it is important to understand that even if we were to create an exchange, the rules are written in Washington, D.C. and the exchanges are going to be controlled by the federal government. The law does not give the state enough flexibility to create an exchange model that would work for Oklahomans. “Any state initiated exchange as allowed for under Obamacare would require Oklahoma to create a massive new bureaucracy and would enable new federal taxes on our employers. I am confident the lawsuit filed by Oklahom’s Attorney General to mitigate the harmful consequences of Obamacare is going to succeed, and the unworkability of the law will lead to its repeal. "The tragic death of little Serenity Deal shocked and saddened everyone at the Oklahoma Department of Human Services. We share the District Attorney's belief that the child welfare workers handling Deal's case, Jennifer Shawn and Randy Lack, were negligent in their duties which is why they were terminated last year. We continue to regret the heartwrenching outcome of this child's case." 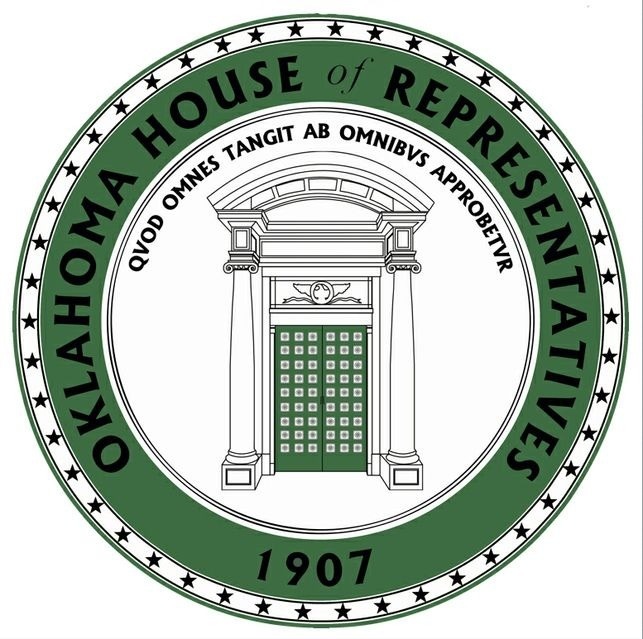 OKLAHOMA CITY – Two days after the election that gave Republicans a historic 72-29 seat control in the Oklahoma House of Representatives, the House Republican caucus today elected its leadership and re-affirmed state Rep. T.W. Shannon as their choice for House Speaker-elect. Speaker-elect Shannon is only the sixth Republican speaker in state history. 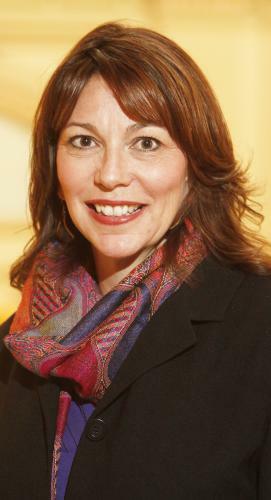 “I am truly honored and, frankly, humbled by the support of my colleagues,” said Shannon, R-Lawton, who ran unopposed for the position. “We face many challenges in the upcoming session, but I view challenges as opportunities to lead and make our state better for every Oklahoman. The Republican caucus also elected several top leadership positions today and voted on proposed caucus rules. In addition to electing Shannon, the caucus chose state Rep. Mike Jackson as Speaker Pro Tempore-elect. State Rep. Weldon Watson, R-Tulsa, who also ran unopposed, was chosen as Caucus Chairman. "It has been a privilege to serve the caucus as Chairman during the past two years, and I am honored to continue serving," said Watson. "Our caucus has continued to grow. We have a great opportunity to govern and I am excited about the potential we have to make a difference for the future of Oklahoma." Vice Caucus Chairman, state Rep. Harold Wright, R-Weatherford, who ran unopposed. Caucus Secretary, state Rep. Elise Hall, R-Oklahoma City, who ran unopposed. 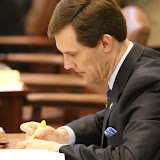 Assistant Majority Floor Leader, state Rep. Lee Denney, R-Cushing. Assistant Majority Floor Leader, state Rep. Charles Ortega, R-Altus. 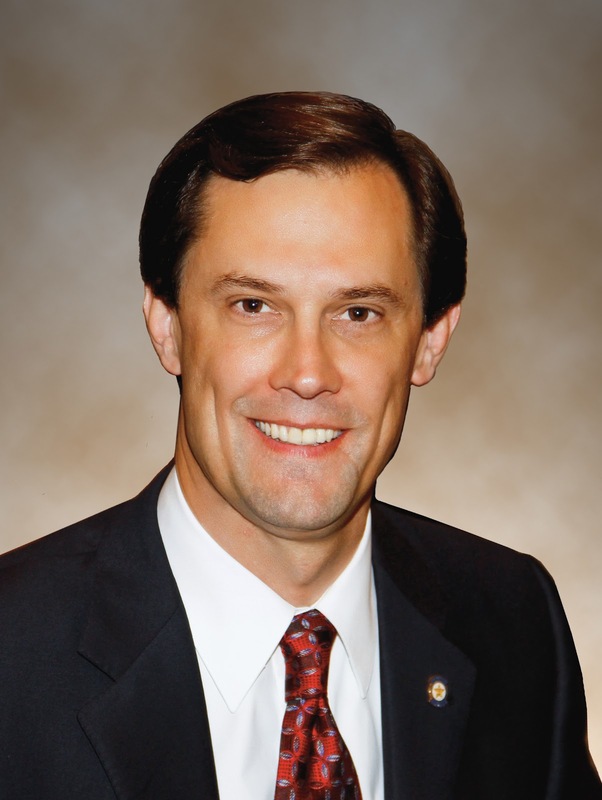 Assistant Majority Floor Leader, state Rep. Randy McDaniel, R-Oklahoma City. Assistant Majority Whip, state Rep. Mike Sanders, R-Kingfisher. Assistant Majority Whip, state Rep. Steve Vaughan, R-Ponca City. 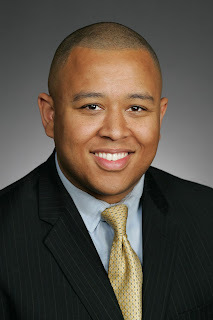 Assistant Majority Whip, state Rep. Todd Russ, R-Cordell. Assistant Majority Whip, state Rep. Sean Roberts, Hominy. "I'm humbled that my colleagues feel I have good judgment and trust me to do the job," said Wright, who was elected for a second term. "I always look at this position as a way to serve the members, much like I serve my own constituents. Serving the caucus can be a thankless job sometimes, but it is vitally important if you are going to build coalitions that get the people's work done." "I am very honored to be elected by my fellow representatives to a position of leadership," said Hall. "We have a great opportunity to enact truly conservative policies during the next two years and I plan on working as hard as I can to repay my colleagues for their support." During the next several weeks Speaker-elect Shannon will announce additional appointed leadership positions. On Wednesday, November 14 at 11:00 a.m., the newly elected members of the entire House will be sworn in at the Capitol. In early January, the full House will convene for an organizational day to formally elect House leadership. Oklahoma House District 87 - I received a friendly concession call from my opponent Nick Singer around 10 p.m. Election Day. He ran an aggressive race and was a formidable candidate in a diverse district. Thank you for your support, prayers and encouragement. I look forward to continuing the important work I began during the last four years. In 2008, I won with 50.6% of the vote and in 2010 I won with 54.1% of the vote. Supporters and well-wishers are invited to our Campaign Victory Watch Party after the polls close on Election Day. Election Day, Nov. 6 at 7 p.m. Volunteers will be reporting the vote count results directly from the polling locations around House District 87 to the watch party. We will have the final results long before they are reported by the Election Board and the media. Please make plans to stop by and join us for a victory celebration. Thank you for your support! If you can't make the party but want to follow the results, we will be posting them on this blog and on Facebook and Twitter @jasonnelsonok. We will begin posting precinct results around 7:30 p.m.
OKLAHOMA – Passage of State Question 765 is a major component of Oklahoma’s effort to rebuild and improve the state’s broken Department of Human Services (DHS). The welfare of Oklahoma’s children, families, aging and disabled need a voice, supporters and authors of the ballot measure said Friday at a news conference at the Oklahoma State Capitol. Under the watch of the DHS nine-member board, the Oklahoma Commission of Human Services, numerous child deaths, lawsuits and the resignation earlier this year of the DHS chairman have occurred. Five-year-old Serenity Deal died while in the custody of the state in 2011, after repeated concerns were expressed by her foster parents about the danger she was in. DHS employees testified as to the safety of her father’s home, despite proof of repeated physical injuries. 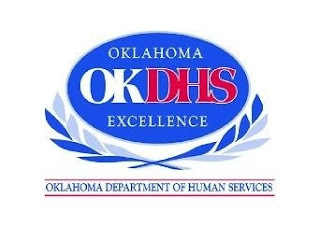 Under the watch of the DHS commission, DHS recently paid $9,500 to settle a lawsuit filed after a temporary DHS worker picked up the wrong girl from a Harrah elementary school in 2006. Additionally, the agency is involved in a lawsuit with a New York-based child advocacy group, Children’s Rights, that alleges Oklahoma’s system of caring for abused and neglected children is so bad that children are being injured and otherwise harmed while in shelters and foster homes. Earlier this year, the state of Oklahoma paid $300,000 to settle a lawsuit filed by a mother who hid her young girl after DHS workers allegedly rejected concerns the girl had been molested. In 2009, 3-year-old Ryan Weeks was beaten to death after being placed back in his mother’s custody from foster care despite pleading with the agency not to return the boy to the home. The mother’s live-in boyfriend eventually pleaded no contest to first-degree murder. Three former or current Oklahoma Commissioners of Human Services, including Dow, are in favor of SQ 765 and getting rid of the commission altogether. The additional members include, Anne Roberts and former chairman Brad Yarbrough, who is a current commissioner. Voter approval of the measure would end Oklahoma’s distinction as the only state where the director reports to an unelected commission rather than a governor whose elected position makes them directly accountable to the people ofOklahoma. If the state question passes, HB 3137, passed in the legislature earlier this year, would require the DHS director to be appointed by the governor and confirmed by the Senate. Currently, the director is hired by the Commission for Human Services. HB 3137 would also establish advisory panels that would monitor each of the agency’s divisions to help agency leadership make informed decisions. The legislation was developed and supported collectively by a bipartisan group of legislatures comprised of House Speaker Kris Steele, R-Shawnee; Reps. Wade Rousselot, D-Okay; Jason Nelson, R-Oklahoma City; Pat Ownbey, R-Ardmore; Pam Peterson, R-Tulsa; and Sens. Greg Treat, R-Oklahoma City and Rick Brinkley, R-Owasso. OKLAHOMA CITY– Authors and supporters of legislation that led to State Question 765 will gather at 10 a.m. Friday, Nov. 2 in the Blue Room at the Oklahoma State Capitol, 2300 N. Lincoln Blvd., to voice their support to help Oklahoma rebuild and improve the state’s broken Department of Human Services. 4th Floor Broadcast Room at the Oklahoma State Capitol, 2300 N. Lincoln Blvd. The Oklahoman reporting that lines had formed at the Oklahoma County Election Board before early in-person absentee voting opened this morning at 8 a.m.
You can vote early at the County Election Board office in the county where you are registered to vote from 8 AM to 6 PM on Friday and Monday before all elections. For state and federal elections only, you also can vote early from 8 AM to 1 PM on Saturday before the election. Voters in House District 87 can vote early at the Oklahoma County Election Board, 4202 Lincoln Boulevard (North of the Capitol). Is my ID valid for voting in Oklahoma?